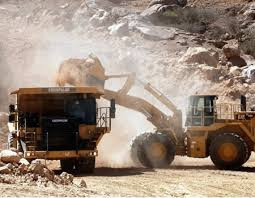 The Federal Ministry of Mines and Steel Development, on Monday, directed all duly licensed dredgers to disregard the stop work order issued by the Lagos State Government and continue their lawful operations in the state. According to a press statement issued and signed by the Permanent Secretary, Mohammed Abass, a copy of which was made available to the Nigeria Tribune in Abuja, the ministry frowned at the way officials of the Lagos State Government have gone about deliberately distorting the pronouncement of the Appeal Court in the matter. “Our has been drawn to a recent ruling of the Court of Appeal sitting in Lagos and several reports ascribed to various officials of the Lagos State Government regarding a purported stop work order issued to duly licensed dredgers operating in the state. “While our law officers are studying the judgment of the Court of Appeal relating to the particulars of the case in question, in the interim, we wish to ask all duly licensed dredgers to disregard the stop work order issued by the Lagos State Government and to continue their lawful operations. “A cursory review of the ruling of the learned justices of the Court of Appeal indicates a clear recognition of the powers and responsibilities of the various arms and organs of government with respect to the administration of mining and inland waterways. We are therefore at a loss as to why officials of Lagos State Government will willfully attempt to inverse the ruling of the court to suit their much-anticipated outcome. The learned justices were clear about the extent and limitation of powers of the various arms of government. “The Ministry takes this development with all seriousness and solemn commitment. We hereby call on all legitimate dredgers to disregard the order and continue with their lawful operations without let or hindrance. “FMMSD has already commenced the process of consultations with all relevant and affected arms and agencies of government. We are confident that an amicable resolution of this issue would be reached in no time, while also committing ourselves to the implementation of lawful court judgments”, the statement added.